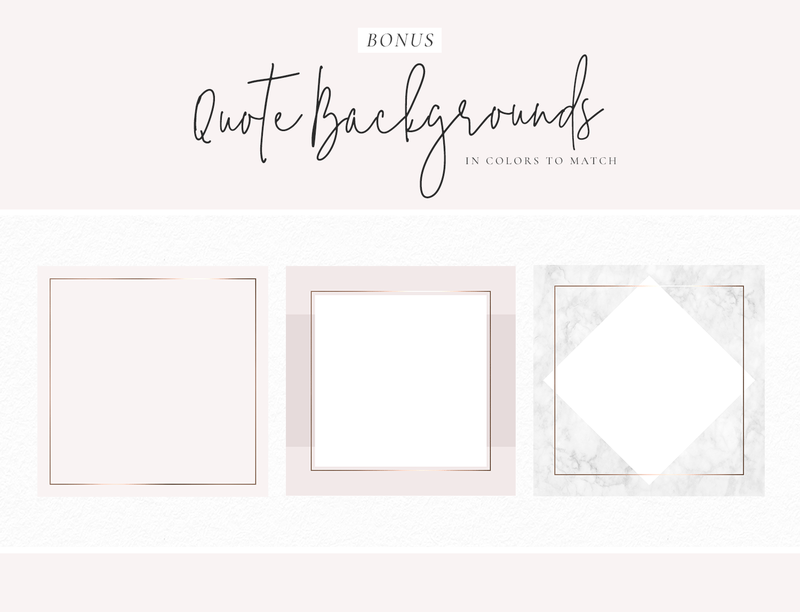 A pack of Instagram story templates in blush pink, marble and metallic rose gold, ready for you to load to your phone and use in the Canva app or other editing programs. Instagram Story Templates in blush pink, metallic rose gold and marble, ready for you to load to your phone and use in the Canva app. 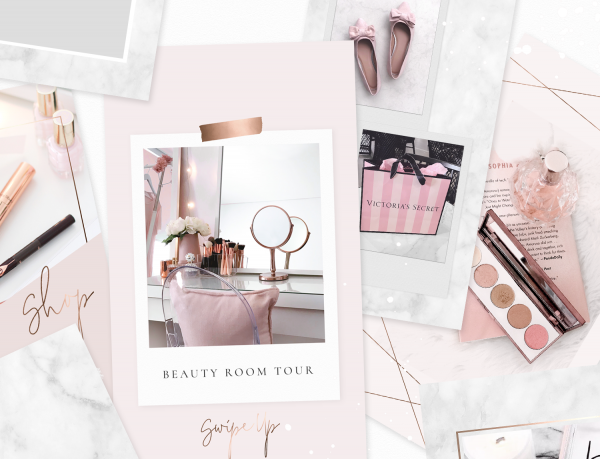 Get creative with your Instagram Stories using these stylish rose gold and blush pink Instagram backgrounds and decorative graphics for your story. These are PNG images, some backgrounds and some with special cut out sections so you can open them in the Canva app on your phone and layer with your own photos and text. No Photoshop needed! Download your purchase (a PDF document) and follow the easy instructions inside to download all images. 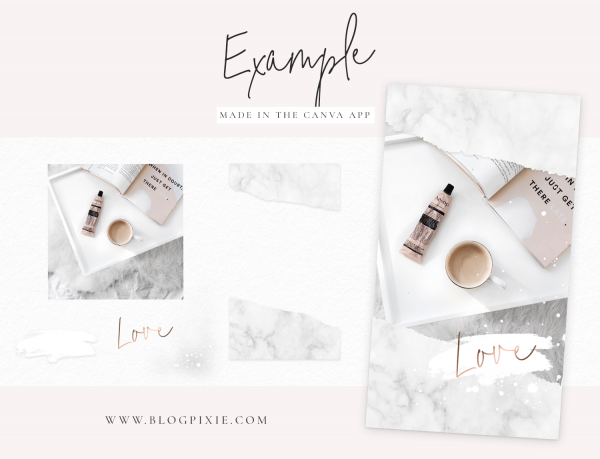 Install the Canva App on your phone. 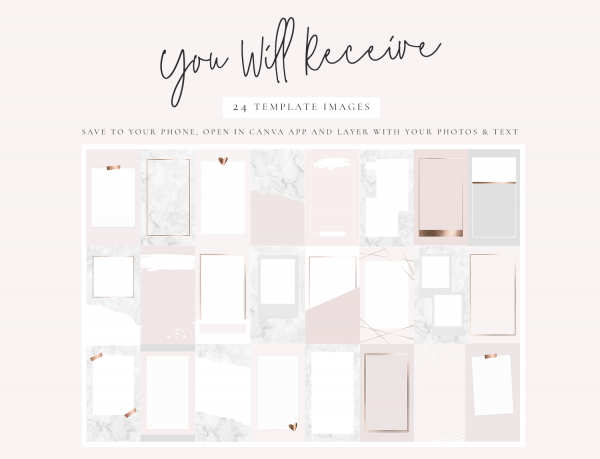 Follow the easy instructions included in a Help Page in your download to use the templates. 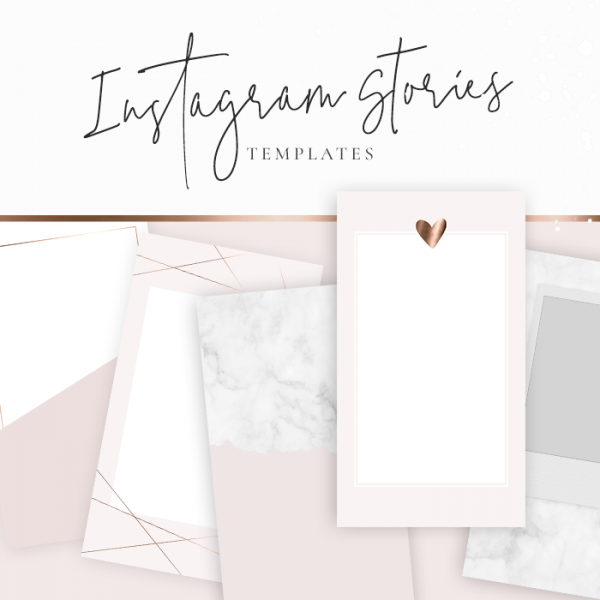 Have beautiful Instagram Story images ready in minutes! You must not sell or give away any of the files you receive in this pack. 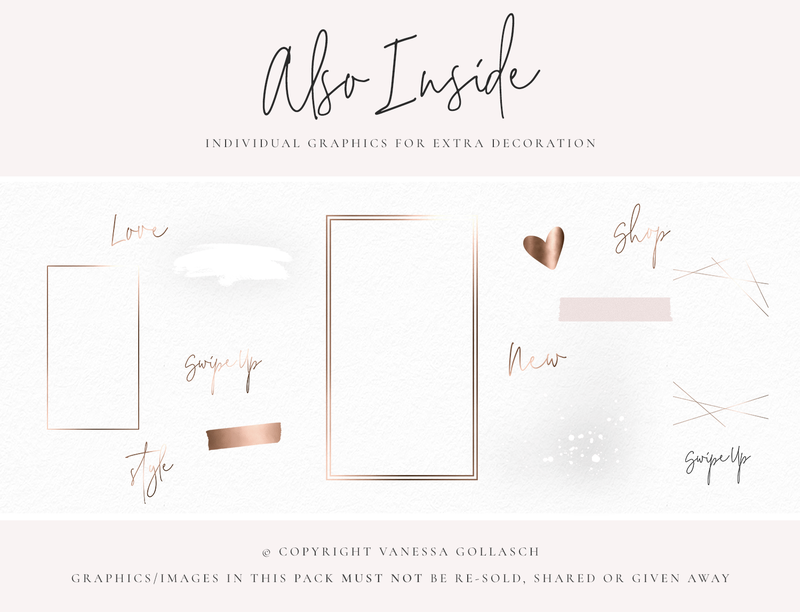 They are for personal use on your blog and social media only. You must add your own text/photos to the images before posting.